Puerto Vallarta and Banderas Bay, Mexico. First-time visitors to Puerto Vallarta, and those dreaming of returning one day soon, will enjoy these short videos highlighting the beauty of this one-of-a-kind tropical location. Puerto Vallarta lies on the Pacific Coast of Mexico, and has become a first-rate celebrity and tourist vacation destination. As viewed from above, romantic white lacey edges of warm breaking waves gently embrace the shoreline. The new Los Muertos Pier is a stunning landmark along Puerto Vallarta’s most popular beach – Playa Los Muertos. Together the stunning Sierra Madre mountains dotted with luxury villas and lush green jungle wrap protectively around this magical paradise. Modern structures blend neatly with historic buildings, many of which have been restored to their former glory. What was once a sleepy Mexican fishing village has evolved into a full-fledged mecca bursting with vibrance, culture, world-renowned restaurants and art galleries, unique shops, festivals, and activities. Comment below and share with us your upcoming plans for visiting Puerto Vallarta! GILBERT’S FAVORITE BEACHES: VAMOS A LA PLAYA! #Vamos a la #Playa! #TravelMexico and #discover some of #gilbertPVbeachbum's favorite #BanderasBay beaches. 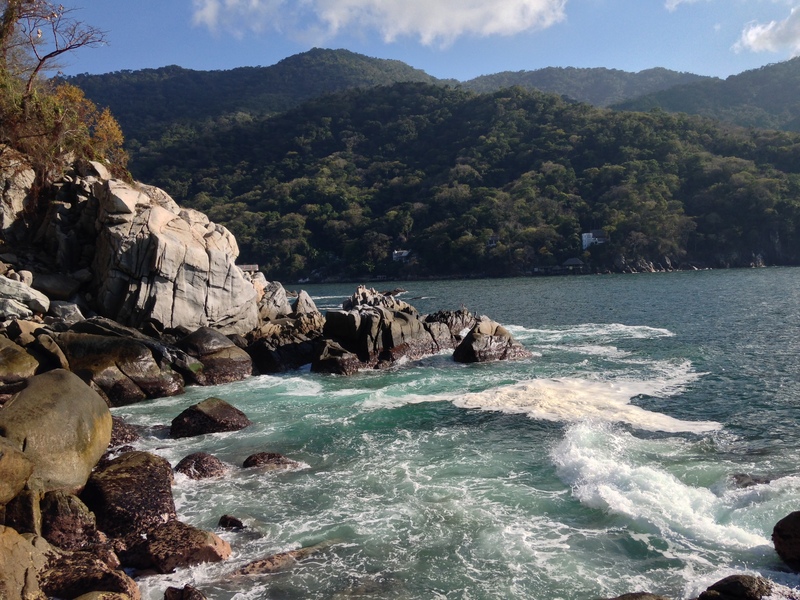 Live It To Believe It and Panoramic Views of Puerto Vallarta are courtesy of the Puerto Vallarta Tourism Bureau.